Defending Champion Nadi will face Rewa in the final of the 2017 Vodafone Fiji FACT after the Jetsetters thumped Suva 6-2 in the second semifinal at Ratu Cakobau Park in Nausori. Striker Napolioni Qasevakatini opened Nadi’s account in the 37th minute of play after the Suva defence failed to clear a corner kick. Suva was reduced to ten players in the 44th minute after defender Tomasi Uculoa deliberately used his hand to block the ball after a melee in front of goal which also resulted in an injury to goalkeeper Tevita Koroi. 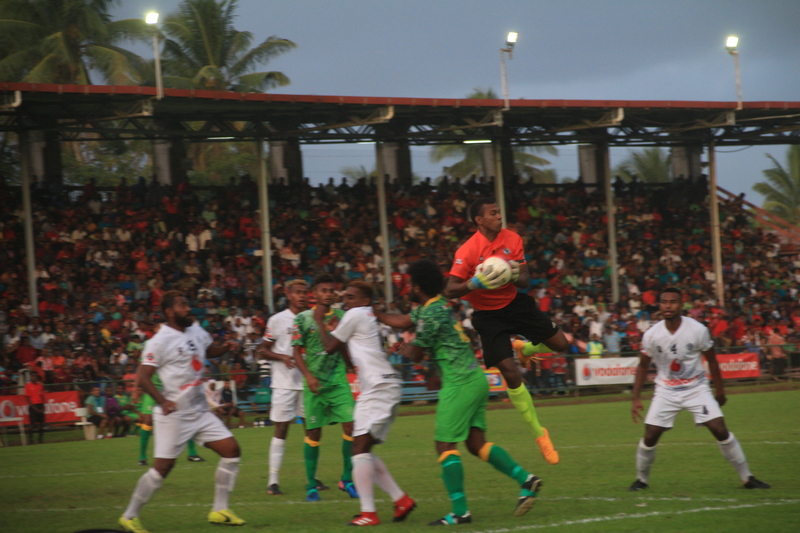 The offence granted Nadi a penalty and Ratu Josefata Dugucagi calmly placed the ball beyond the reach of replacement keeper Emori Ragata to give his side a comfortable 2-0 halftime lead. Qasevakatini found the net again in the 54th minute as another defensive blunder gave him the space and opportunity to shoot. Dugucagi slammed in Nadi’s fourth goal four minutes later and replacement Rusiate Matarerega got Nadi’s fifth in the 79th minute. Suva Captain Ravinesh Karan Singh scored two consolation goals towards the end of the match but nippy and stylish Nadi defender Afraz Ali had the final say with a tap-in. Jacks/ Rams Cleaning Nadi will now face host Rewa in the grand final at 2.30pm tomorrow.